First we draw your blood, then we concentrate the Platelet Rich Plasma component, this is the part of your blood that heals/ regenerates tissue. Your PRP is then placed into the deeper skin layers using a microneedling device. The result is fresh glowing more youthful skin that has been naturally rejuvenated. Click the button below to learn more about this technique with a complementary consult with our Doctor. Made famous by celebrities like Kim Kardashian, Giselle Bundchen and Bar Refaeli, the Vampire Facial is latest technique in regenerative medicine involves a microneedling a component of your own blood called PRP into the skin for rejuvenation. 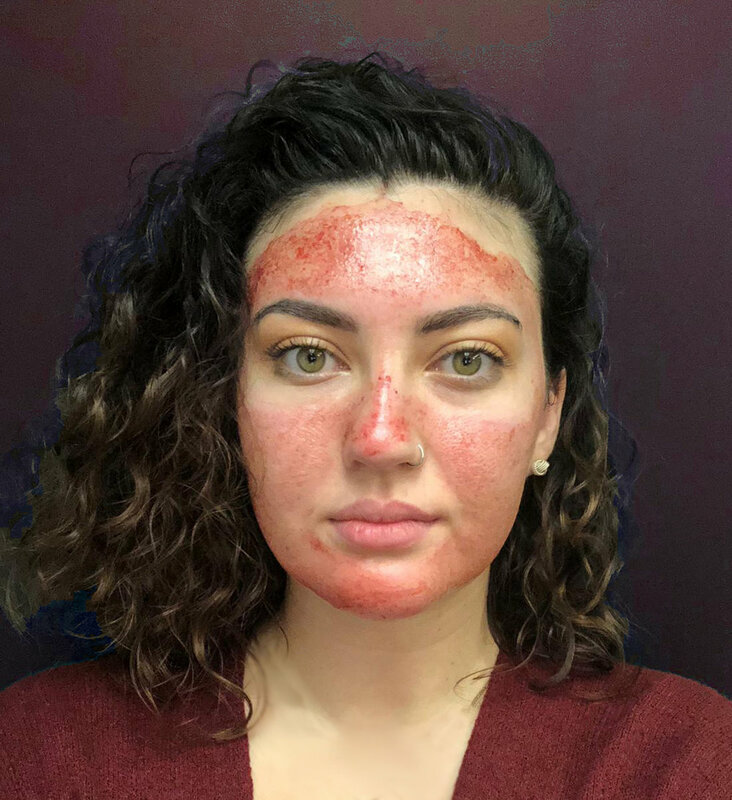 By isolating cells and regenerative factors from your blood and placing them deep into your skin this facial: improves skin color, tightens the skin, improves fine lines, softens rough texture and improves the appearances of pigmented areas/ scars.